China | Perfect Storm Warnings! Turkey upped the stakes of the already ruinous Syrian conflict after it launched a direct offensive across its southern border, targeted ostensibly at Islamic State positions in the northern Syrian town of Jarabulus. With the support of U.S. forces, Turkish tanks motored into Syrian territory in the early hours of Wednesday, helping Syrian rebels to swiftly recapture an important border town but also adding another layer of complexity to Syria’s deeply complicated war. The attack led by Turkey which sent troops, tanks and war planes into Syria for the first time in 5 and a half years. The operation also included American advisers who planned it via bases in Turkey. At the same time, they provided the Turks with surveillance and intelligence as well as aerial backing if needed. Ankara labeled the operation Euphrates Shield, a reference to the river that threads through Turkey, Syria and Iraq. The rebels encountered almost no resistance from Islamic State fighters, who fled ahead of the advancing force, according to rebel commanders in the area. The fact that Coalition Forces took control of Jarabulus is expected to weaken ISIS’s grip along the Turkish-Syrian border. The city was utilized by ISIS to smuggle supplies and members to the murderous terror group. As a result, the operation is expected to loosen their grip on Syria. The date chosen for the operation, August 24, is of historical significance, because it marks exactly 500 years to the day since Ottoman Sultan Selim I won the decisive Battle of Marj Dabiq, leading to the Ottoman conquest of Syria and much of the rest of the Middle East. This particular campaign may simply be an effort to cut off Kurdish forces from gaining too much territory thus weakening Kurdish elements in southern Turkey. Erdogan has been engaged in an attempt to crush all dissent among the Kurdish population there, where there is a strong movement for greater regional autonomy. Turkish officials also made clear that the operation wasn’t simply about targeting the militant group. Ankara has long worried about the advances of Syrian Kurdish militias in northern Syria. The most prominent faction are the People’s Protection Units, or the YPG — key fighters in the ground war against the Islamic State and recipients of American aid, but a group that Turkey sees indelibly linked to outlawed Kurdish insurgents operating within its borders. On Monday, Turkish forces shelled YPG positions in Manbij. And as the advance toward Jarabalus pressed ahead, Turkey’s foreign minister issued a warning on Twitter to Syrian Kurds there. Ibrahim Kalin, a senior spokesman for Turkish President Recep Tayyip Erdogan, signaled Turkey’s long-standing argument that the fight against the Islamic State is the same as Ankara’s struggle with Kurdish terrorism. What happens next in Manbij is as important as what happens after the Turkish-led recapture of Jarabulus. As Syria analyst Hassan Hassan wrote earlier this week, the largely Arab city is a vital testing ground for future reconciliation and unity in war-ravaged Syria. For the time being, though, it remains yet another hot spot. Meanwhile China has also entered the fray on the side of the Syrian regime. China sent military advisors to Syria to support the regime’s army and trainers to teach Syrian soldiers how to use Chinese weapons. China has also opened discussions with Russia and Iran about humanitarian aid and as to whether or not China will regularly deploy military advisers to Syria. China’s interest in Syria is twofold. First, it wishes to protect itself from terrorist attacks by Islamist extremists in China, where there have been jihadist strikes in the Uighyur province in the West of the country in the past. Second, China needs regional stability in order to safeguard its titanic “One Belt, One Road” project, which seeks to re-open the ancient silk road, running trade overland from Europe to Asia. China is investing billions in in modern infrastructure to make global trade along that highway possible and the presence of jihadists and other unstable armed militia groups near the route jeopardize that investment. China does not seem to mind whether Turkey is Islamist or not, what it cares about is stability and security. The intervention of both countries marks a serious escalation in the Syrian Civil War. Many of the headlines concerning East Asian politics have covered North Korea’s recent threats and the China-Japan territorial dispute in the East China Sea. In fact, Australian National University Professor of Strategic Studies Hugh White predicted a coming war in East Asia this year in a column for the Sydney Morning Herald. Several experts discussed Professor White’s argument and how such a potential war would progress. Professor Hugh White bluntly commented, “don’t be too surprised if the US and Japan go to war with China next year” in his December 26, 2012 column in the Sydney Morning Herald. According to Professor White, a Chinese back-down would persuade the Chinese public that China is not the rising power its government proclaims to be. For Japan, any concession on the disputed islands would show the world that Japan accepted “China’s right to push them around” and that Washington was helpless. For the United States, a back-down would signal that the new leader in the Pacific was no longer Washington, but Beijing. Rich reservoirs of oil, natural gas and industrial minerals believed to lie under the China Sea may merely be door prizes in the contests for control of East Asia’s great inland sea. Beijing claims some 300 million square kilometers (or 80 percent) of the East and South China Sea and the Yellow Sea that separates the Korean Peninsula from China’s east coast. Conventional analyses of China’s aggressive claims focus on rivalries among the coastal states over the underwater resources the China Sea is believed to contain. These disputes involve Vietnam, the Philippines, Malaysia, Brunei, Taiwan, and Japan. 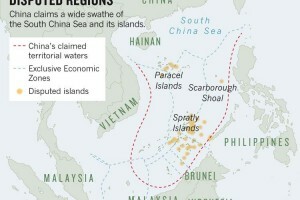 Vietnam and China have twice come to blows—in 1974 and 1988—over South China Sea islets. Proposals for settling the question have centered on setting aside the competing claims in favor of joint exploration and production sharing of maritime resources discovered. But a respected Australian analyst of the Chinese armed forces suggests that China’s deepest motives are not economic but military. You Ji, an ethnic Chinese senior lecturer at the University of New South Wales (Sydney), says that China needs control of the China Sea to achieve defense in depth—to prevent its coastal heartland from being exposed to seaborne attack. Professor You specializes in the study of China’s armed forces. He has noted in recent years the Chinese Navy’s growing regional power and global reach. He argues that if China is to become a first-rank power, it must build up its sea, as well as land, forces. And China needs control of the China Sea to enable the forces defending its 18,000-kilometer coastline to fall back to a succession of prepared positions without being overrun or outflanked. If You’s analysis is correct, the China Sea crisis will be more intense, more protracted and further reaching than any quarrel over material resources. Basically, Washington is seeking to preserve an East Asian balance of power favorable to its interests. This will be harder and harder to do, as China’s economic—and military—potential increases. The contest—diplomatic, military, technological—is really just beginning. And China is likely to maintain the initiative. It can turn the tensions in the contested islets on or off—particularly since civilian vessels plying disputed waters seem to act on occasion as proxies for the Chinese Navy. If push comes to shove, the China Sea is also where the US is relatively most vulnerable to its much weaker adversary. Here American sea-lanes for reinforcement and supply are most stretched, while the Chinese Navy is closest to supporting coastal bases. To prevent a catastrophe, Washington, D.C. and Beijing must reach a grand bargain that enables them both to live peacefully—and in mutual respect—with one another. China’s new leader Xi Jinping capped his rise to the top Thursday by adding the largely ceremonial title of president, though he will need more time and cautious maneuvering to consolidate his power and build support from a public that is increasingly clamoring for change. The elevation of Xi to the presidency by the rubberstamp national legislature gave him the last of the three titles held by his predecessor, Hu Jintao. The move was expected after Xi was named head of the Communist Party and chairman of its military, positions of true power, last November in a once-a-decade handover to a new group of leaders that has been years in the making. Despite being formally in charge, it will be within the party’s top ranks – in which powerful people are often divided by patronage, ideology or financial interests – that Xi will find the biggest challenges. Xi’s accession marks only the second orderly transfer of power in more than six decades of communist rule. He was the only candidate for president in Thursday’s vote. Delegates to the country’s figurehead parliament, the National People’s Congress, voted 2,952-to-1 for Xi in balloting that amounts to a political ritual echoing the decisions of the party leadership. Three delegates abstained. 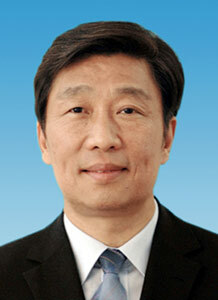 Named vice president in a vote of 2,839-80 was Li Yuanchao, a liberal-minded reformer and a close ally for decades of Hu. The move breaks with the practice of recent years, because Li is not in the party’s seven-member ruling inner sanctum, but is seen as a concession to Hu’s lingering influence and as a reward to a capable if not wholly popular official. Xi takes charge at a time when the public is looking for leadership that can address sputtering economic growth and mounting anger over widespread graft, high-handed officialdom and increasing unfairness. A growth-at-all-costs model that defined the outgoing administration’s era has befouled the country’s air, waterways and soil, adding another serious threat to social stability. Underlying public unhappiness with the party is a deficit in trust. Japanese Prime Minister Shinzo Abe, whose country is in conflict with China over islets in the East China Sea, cited former British Prime Minister Margaret Thatcher’s reflections on the 1982 Falkland Islands war to stress the importance of the rule of law at sea. 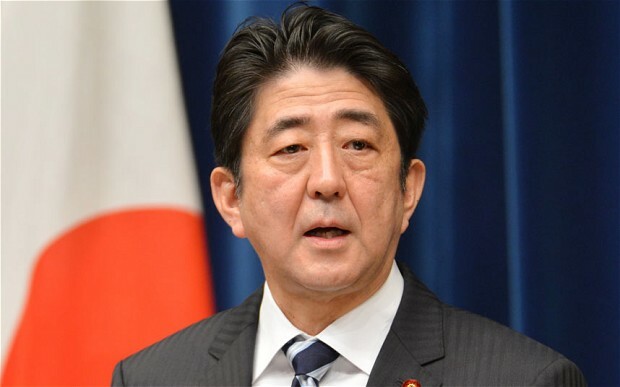 During a speech to parliament on Thursday, Abe said Japan’s national interests “lie in making the seas, which are the foundation of our nation’s existence, completely open, free and peaceful,” the UK Telegraph reported. The Japanese Prime Minister, who took office in December, quoted Thatcher’s memoirs reflecting the Falkland Islands war, in which she said Britain was defending the fundamental principle that international law should prevail over the use of force, according to Reuters. “Looking back at the Falkland Islands conflict, former British Prime Minister Margaret Thatcher said the following: ‘The rule of international law must triumph over exertion of force,’” the Wall Street Journal quoted Abe as saying to his fellow lawmakers. Thatcher rallied Britain to support the 74-day armed conflict, which started when Argentine troops landed on the Falkland Islands on April 2, 1982. It drew skepticism at the time from other British leaders — and some British allies, who didn’t think the territory was worth defending after Argentina seized control, according to the Wall Street Journal. The conflict killed about 650 Argentine and 255 British troops. Abe continued in his own words: “The rule of law at sea. I want to appeal to international society that in modern times changes to the status quo by the use of force will justify nothing.” Ties between Tokyo and Beijing have been shaky after the Japanese government last September bought three of the five islands in the East China Sea, known as the Senkaku in Japan and the Diaoyu in China. The islands are controlled by Japan but also claimed by China. An escalation in tensions in the territorial dispute has raised fears of an unintended military incident near the islands, where both countries’ militaries have each started to mobilize in the surrounding area, the Wall Street Journal pointed out. The U.S. has said the islets fall under a U.S.-Japan security pact, but “Washington is keen to avoid a clash in the economically vital region,” theTelegraph reported. Abe reiterated in his speech that the islands are Japanese territory and urged Beijing not to escalate tensions. However, he added that Sino-Japanese relations were vital for Japan and that he was always willing to a discussion. Finally, there is the continued growth of Russia’s armed forces under Vladimir Putin, which has been growing in size and sophistication to levels not seen since the Cold War. 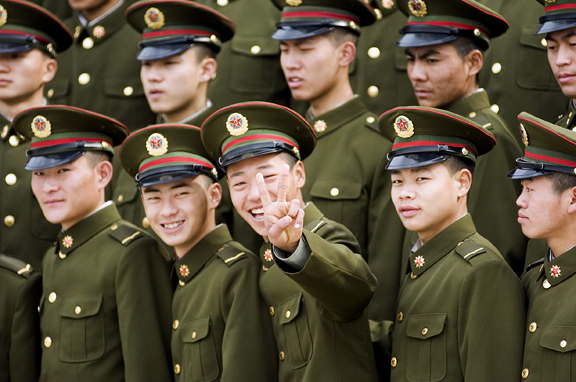 As the fastest growing power in Asia, China’s People’s Liberation Army (PLA) expands its capabilities and strategic goals during the past decade. The PLA has improved its naval power with a new aircraft carrier, drones, submarines, and cutting-edge stealth technology. It has also develped a active cyberwarfare capability. All of this has been paid for by a growing military budget and enabled by a growing economy. The National Intelligence Council predicted in 2008 that China’s military expansion will enable it to become a leading power by 2025. This long term trajectory is part of China’s grand strategy to protect its sovereign interests at its front door and correct the historic anomaly of a Western-dominated strategic landscape in East Asia. The SDF has the best trained forces among the growing powers in Asia, based on the per-soldier spending. 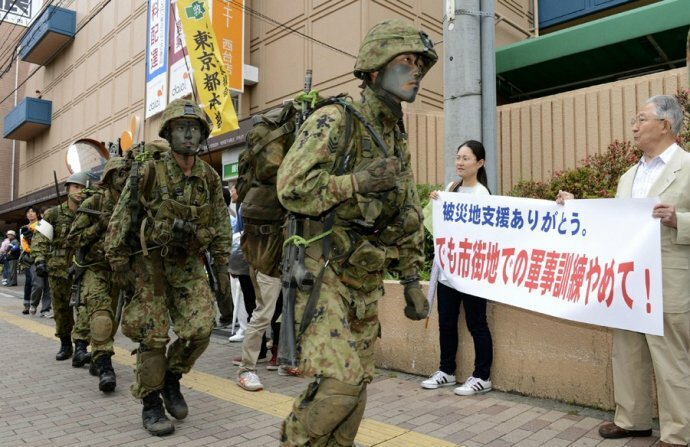 Japan continues to develop its unofficially “offensive” forces to have a more assertive role in its national defense. It’s apparent that the Japan SDF treats the possibility of a armed confrontation with China very seriously, hence the growth in its defense budget. 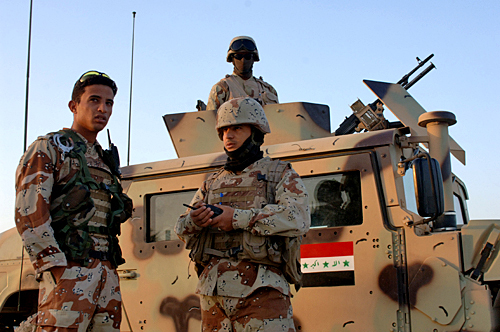 Today, Iraq relies on the U.S. to bring its military up to speed after the fall of Saddam Hussein’s regime in 2003. The Iraqi military is fast becoming a regional power again with purchases of U.S. and Russian arms and weapons systems. The Iraqis are also buying things like “30 Mi-28NE combat helicopters and 42 Pantsir-S1 mobile rocket launchers” from Russia as part of a $4.2 billion arms trade deal between the two countries. 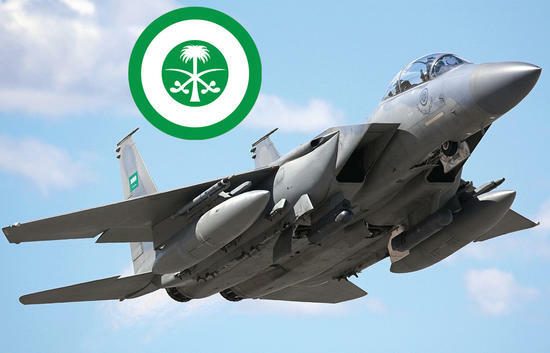 It’s obvious that the Arab Spring, Iran, and Iraq are becoming part of the problematic picture from Riyadh, and they are arming up to prepare for the storm that may come. With $200 billion in revenues from natural gas and oil exports, Algeria can afford to buy the new weapons like the “Russian Su-30MK fighter-jets, T-90S main battle tanks and Kilo-class submarines” and “helicopters … from Germany’s ThyssenKrupp Marine Systems [and] 1,200 armoured personnel carriers” from Rheinmetall to increase its conventional military power. 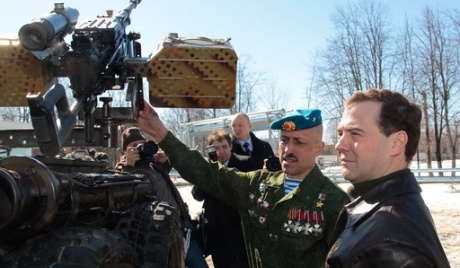 Sergei Karaganov speculates that the arms buildup in Russia is due to a perceived security threat from the missile shield provided by the U.S. in Europe and growing political instability near Russia’s southern borders. It’s important to note that Russia is also a top tier player in the cyberwarfare field and is largely considered to be more effective than the Chinese. The officials did not provide details of the missile movements that were tracked by U.S. aircraft, ship-based, and satellite surveillance systems in the region. Disclosure of the missile movements comes as White House national security adviser Tom Donilon on Monday met in Seoul with China’s state councilor Liu Yandong. The two were in South Korea to attend the inauguration of South Korean President Park Geun-hye. Tensions remain high between Japan and China over Tokyo’s nationalization last year of several uninhabited islands between Okinawa and Taiwan called the Senkakus. China claims the islands as its territory. At issue are large undersea oil and gas deposits sought by both energy-poor countries. 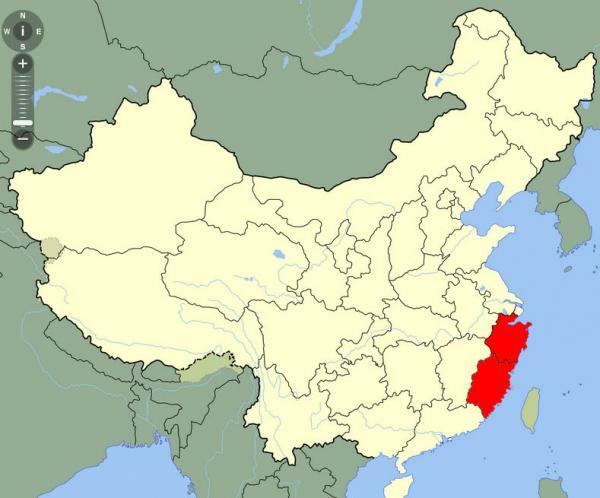 The officials confirmed the missile movements near the provinces of Zhejiang and Fujian after Chinese press outlets first reported them. 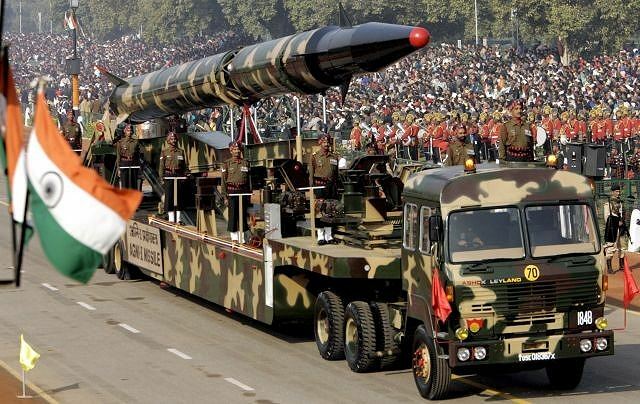 The most recent report appeared in the Hong Kong newspaper Oriental Daily News, a non-Chinese owned outlet that quoted a military source as saying the missile deployments included new solid-fueled DF-16 road-mobile missiles. The Feb. 21 report said the People’s Liberation Army Second Artillery Corps, which operates missile units, were preparing to target the disputed Senkaku Islands as well as U.S. military bases in Okinawa. The report also stated that the DF-16 is capable of defeating U.S.-made Patriot missile batteries that are deployed at U.S. and Japanese military bases in the region. The DF-16 is said to be armed with multiple warheads. According to the report, the PLA navy near the Senkakus is part of China’s “trump card” weaponry—niche military capabilities that could allow a weaker force to defeat a stronger one.